Ever since the Duke and Duchess of Sussex officially announced they were expecting their first child, we knew the Meghan Markle’s maternity style would be nothing short of polished perfection, and it’s certainly living up to our to our fashionable expectations so far. Refusing to give up on her sartorial USP, so far, we’ve seen Markle sport chic tailoring, elegant dresses and pared-back separates as well as directional pieces like coloured leather and asymmetric hems. The final trimester of a pregnancy can throw some fashion hurdles your way, but in these early stages, she proves there’s no great need to eschew your usual go-to options. From the early stages of her pregnancy right through to her due date, stick with us as we chart Meghan Markle’s maternity style every step of the way. Style Notes: Another day, another excellent dress choice from Meghan. To visit Macarthur Girls High School in Sydney on 19 October 2018, the duchess opted for a navy sleeveless dress with a powder-blue hem by London Fashion Week designer Roksanda. The nipped-in waist and circle-cut skirt enhance her hourglass silhouette perfectly, with room for bump growth, too. Style Notes: As part of their Australian tour, Prince Harry and Meghan Markle took to Bondi Beach to meet with the local surfing community. For the occasion, she looked bohemian in a brown, black and navy striped maxi dress from Martin Grant—the same designer that created the trench she’s worn on repeat. We also love her lei floral garland. 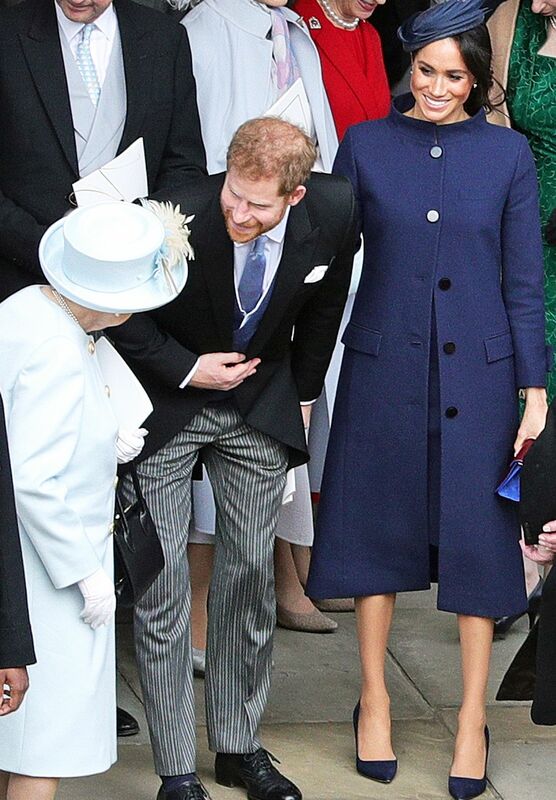 Style Notes: Much like sister-in-law Kate Middleton, Meghan is good at rewearing, choosing her Martin Grant trench coat on repeat. The duchess continued her strong maternity style streak in Melbourne on 18 October 2018 by slinging it over a Club Monaco dress and flat shoes by Rothy’s. 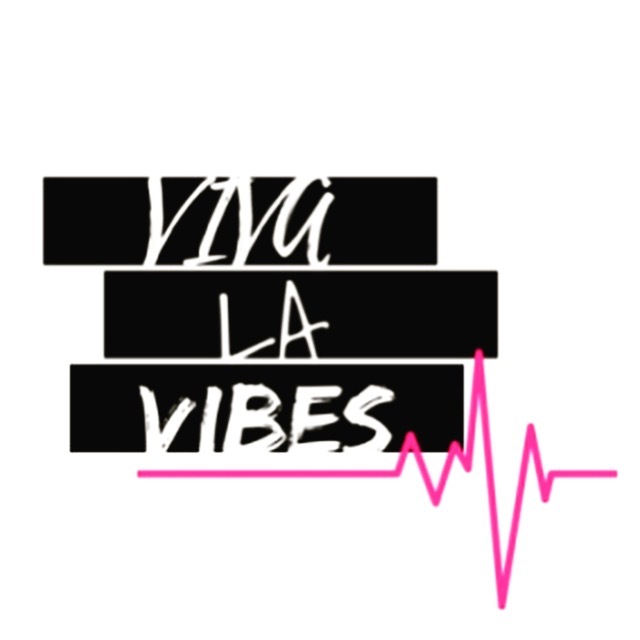 Simple but chic. Style Notes: On 18 October, Meghan and Harry continued their tour of Australia, visiting Melbourne’s Royal Botanic Gardens before heading to a reception with local government. To greet fans and meet with the country’s politicians, Markle opted for a classic asymmetric dress by Australian designer (kudos, Megs) Dion Lee. Styling it out with her signature Manolo Blahnik pumps and minimal accessories, this is a look we’d gladly emulate any day of the working week. 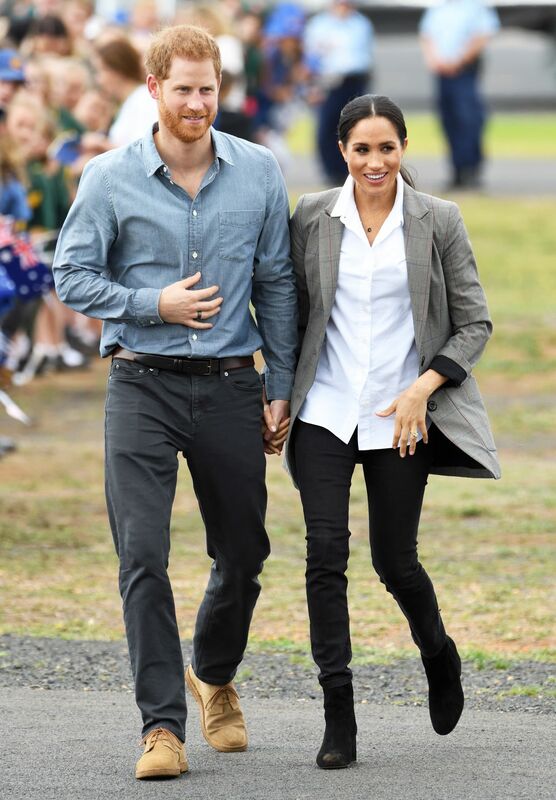 Style Notes: Our first real glimpse of her off-duty maternity style, Meghan Markle looked chic as she attended a renaming ceremony at Australia’s Dubbo Airport on 17 October with her husband. For the occasion, Meghan chose a £110 blazer from close friend Serena Williams’s clothing line, an untucked shirt by Maison Kitsuné, a pair of dark wash skinny jeans from Outlander and black suede J.Crew ankle boots. If we were to sum up this look in two words they’d be comfortable and content. Style Notes: Seeing as she’s only three months along, Meghan Markle can naturally continue to wear non-maternity clothes. This dress, which she wore on 16 October 2018 in Sydney, Australia, is a prime example of mainline clothing that works for expectant mums. The full, pleated skirt on this Brandon Maxwell dress means there’s a little room for growth, and you know how much we encourage the rewearing of clothes. Keeping things simple, Meghan chose to accessorise her frock with a pair of butterly earring’s from Princess Diana’s personal jewellery collection—a touching tribute. Style Notes: At their first official engagement since announcing their pregnancy the day prior, Meghan and Harry met the public at Sydney Opera House on 16 October in Sydney, Australia. 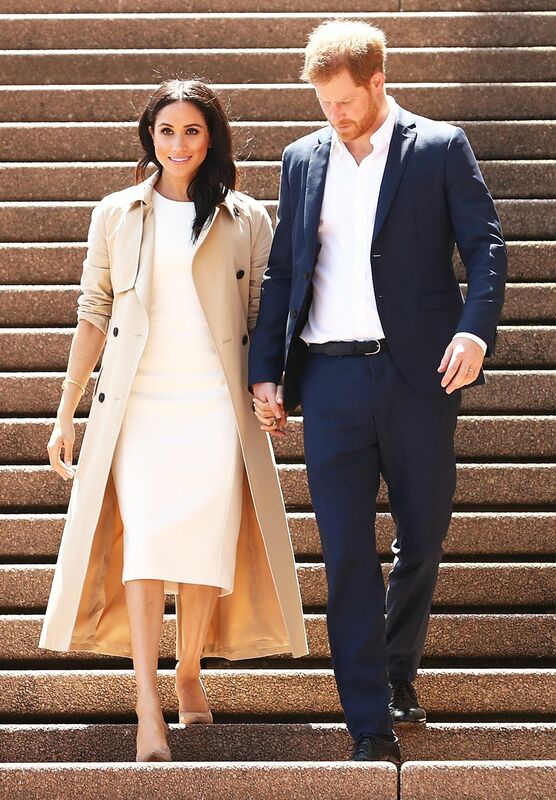 For the occasion, Meghan chose a cream Karen Gee dress, taupe Stuart Weitzman suede shoes, and a versatile Martin Gant trench coat. Cleverly sticking to a neutral colour palette, Meghan knows it’s a fail-safe way of looking chic without much effort on her part—a trick to try whether you’re expecting or not. Style Notes: They say hindsight is 20/20, and although we didn’t know Meghan was pregnant at the time of Princess Eugenie’s wedding in Windsor on 12 October 2018, the fact she fastened the top two buttons on her Givenchy coat to create an A-line silhouette is a sign she was attempting to detract attention from her stomach. Accessorising with a Givenchy bag, Noel Stewart hat and Manolo Blahnik heels, all in a rich navy tone, Meghan once again makes a case for tonal dressing. Style Notes: While visiting the University of Chichester on 3 October, Meghan was still keeping her pregnancy a secret. Her evergreen leather Hugo Boss skirt might seem like a bold choice but the rigid fabric actually makes for the perfect mini-bump disguise—how sneaky of you, Megs! Throw in a green shirt from on of our favourite high-street haunts & Other Stories and this look is near-perfection in our eyes. Style Notes: Riding solo, Meghan Markle turned to Givenchy—the brand that created her gorgeous wedding dress—once again for an outing on 25 September in London. True to form, the duchess completed her look with Aquazzura heels. Style Notes: At the time, we wished Meghan would have chosen something more casual to play netball at Loughborough University on 24 September, but seeing as the royals have a penchant for wearing fancy clothes to play sports in, we assumed she was just following suit. However, we now know that her Oscar de la Renta peplum blouse was actually the ideal growing-bump disguise. Paired with Altuzarra trousers and her favourite Aquazzura shoes, it made for the ultimate elegant ensemble. Oh, and of course, her newly straightened hair was also an effective distraction tactic. Style Notes: While it’s yet to be confirmed, we suspect this outing on 6 September in London was one of the first for the couple after they found out they were expecting. Naturally, Meghan finished her look with a complimenting Dior bag and Aquazzura heels. Oh, to have the wardrobe of a duchess.